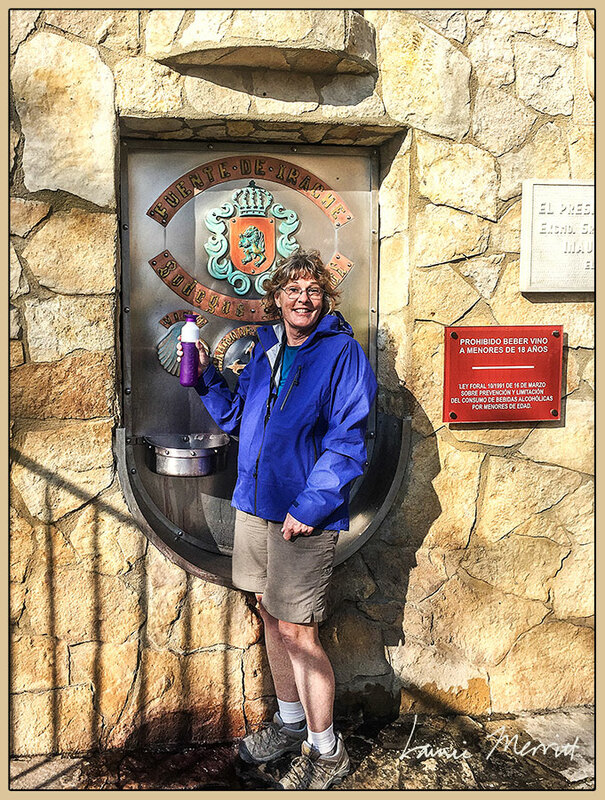 Several Camino symbols on the wall of our hotel clearly pointed us in the right direction this morning. 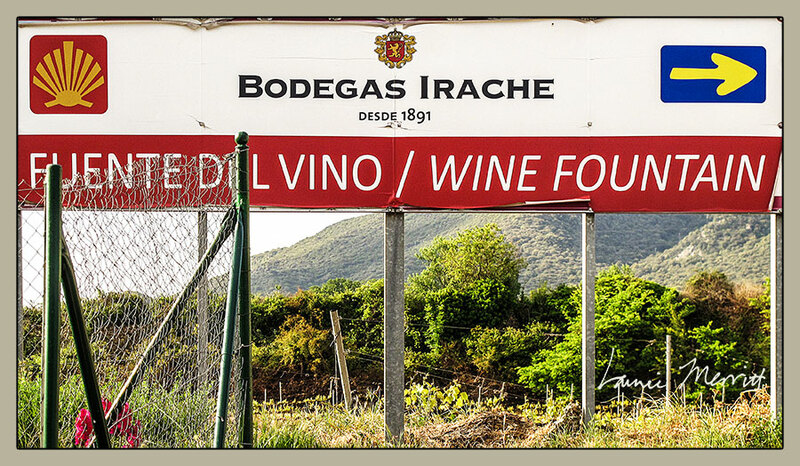 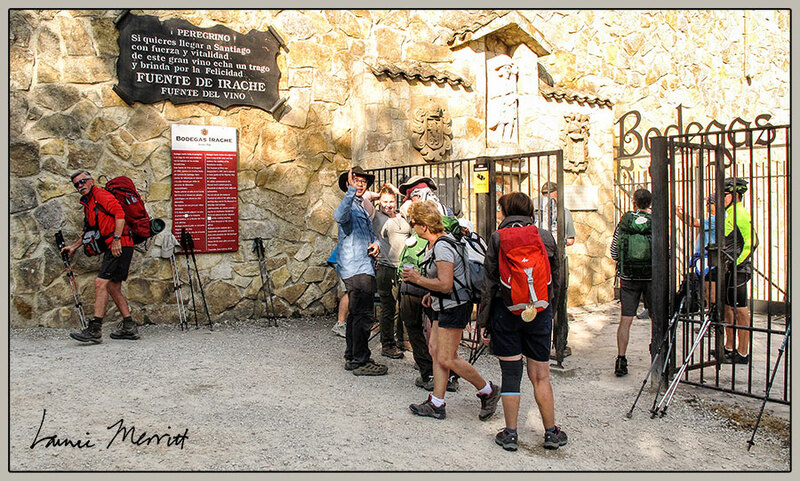 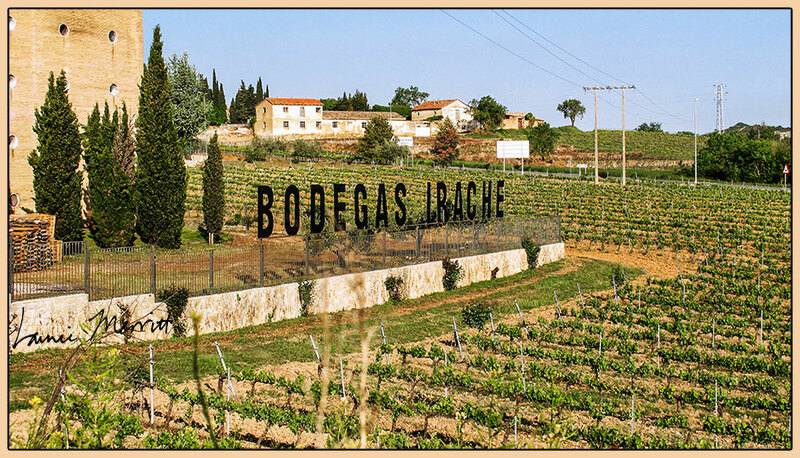 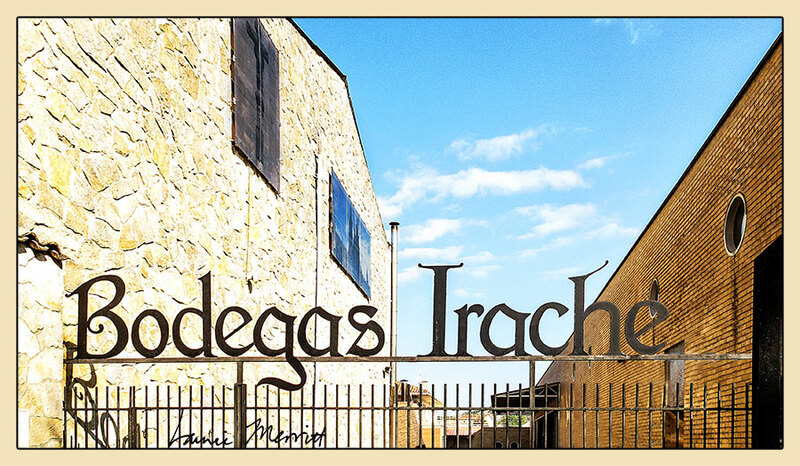 Just 2 km from Estella, Bodegas Irache has a wine fountain so pilgrims can serve themselves a free glass of wine to spur them on their way. 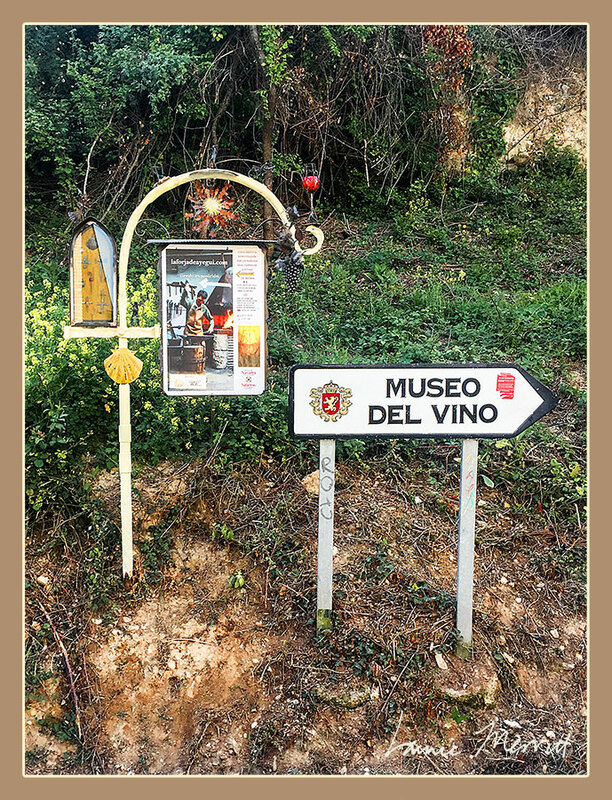 This stretch of the way to Compostela de Santiago was already renowned for the quality of the local wine in the 12th century in the Estella/Ayegui region, aka “land of good bread and optimal wine”. 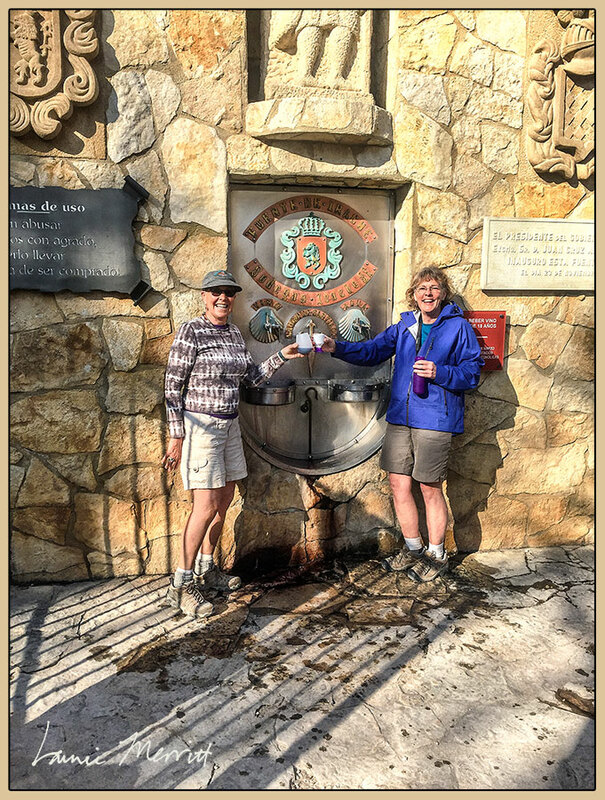 Thousands of people of different nationalities visit the fountain, as did we. 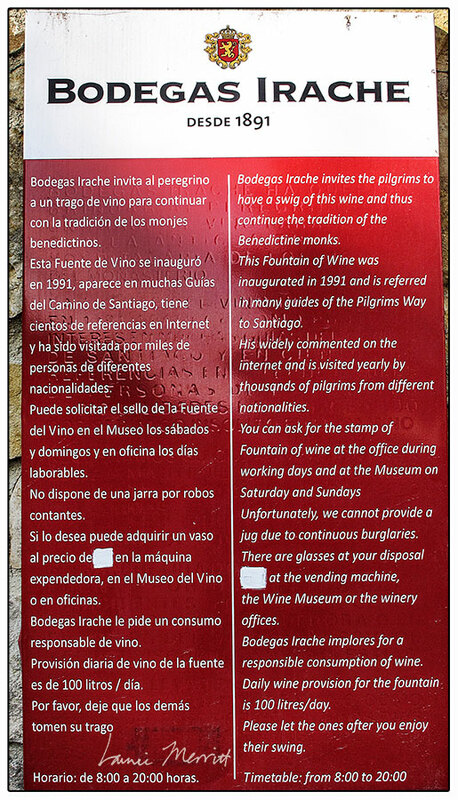 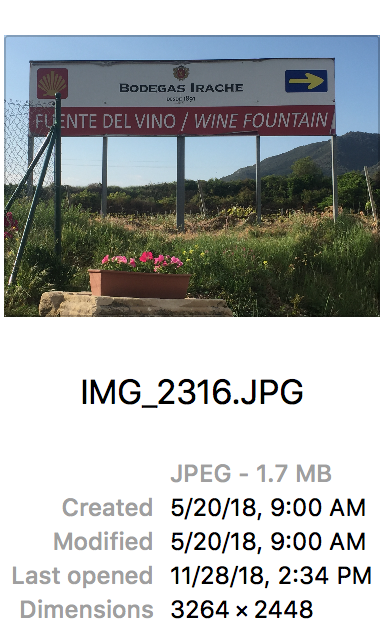 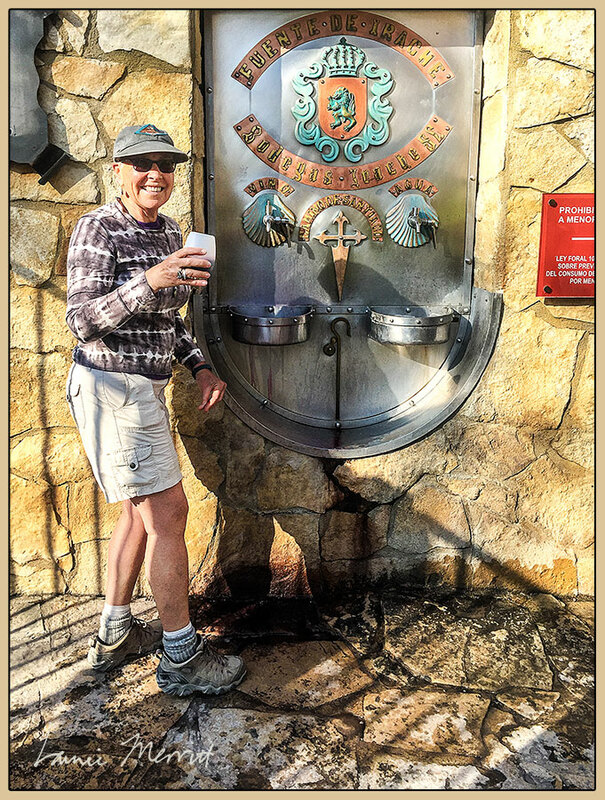 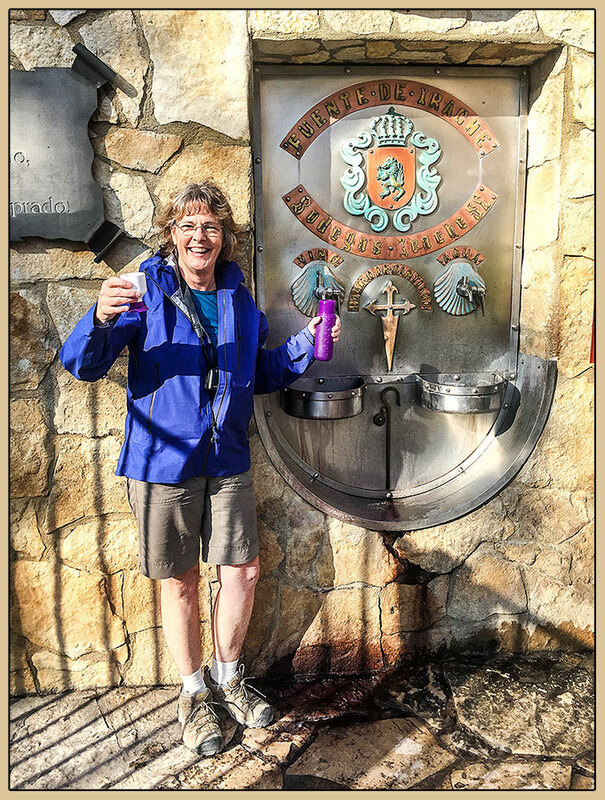 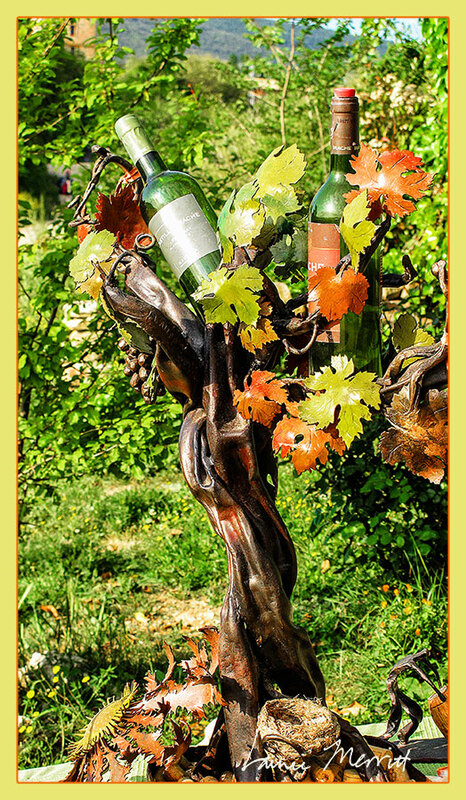 In 1991, the company built the wine fountain in one of the walls of the winery which is right on the pilgrims’ route along the Camino – so very thoughtful and convenient! 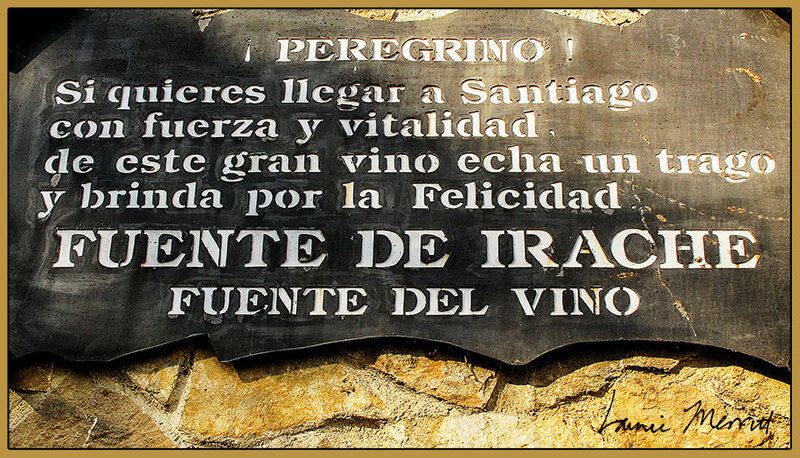 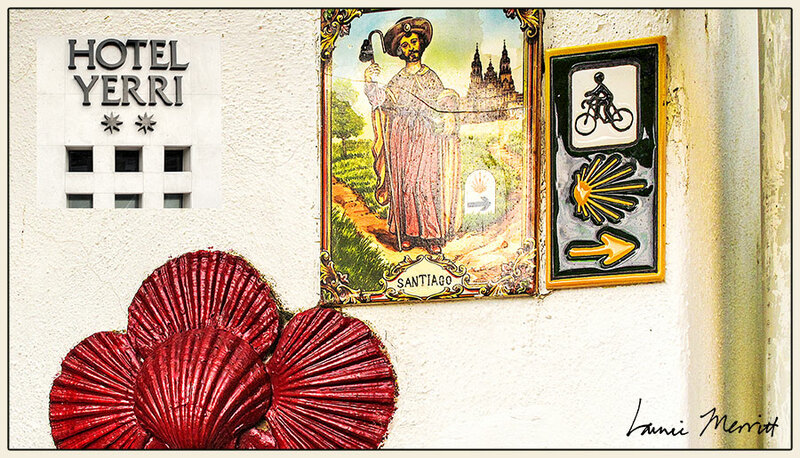 The black plaque reads, “If you want to go to Santiago with strength and vitality, of this great wine have a drink and toast to happiness”.